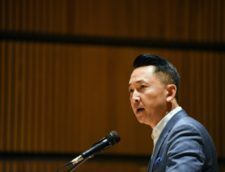 Writer Claire Polders reports on the workshop led by Viet Thanh Nguyen at the American Library in Paris. 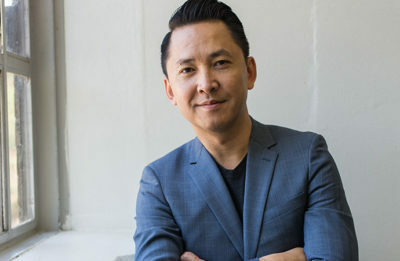 Yesterday, along with some twenty other writers, I attended the workshop led by Viet Thanh Nguyen at the American Library in Paris. I was not alone in my nervousness. We writers exchanged encouraging smiles, then names, and soon felt more at ease. At least I did. Viet (who casually introduced himself without his last name) asked us to read “The Colonel” by Carolyn Forché. 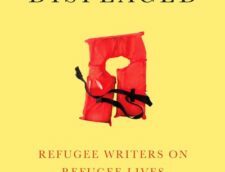 It’s an excellent poem (*) containing all the core elements of great writing and storytelling. For two hours we debated the piece, line by line, sometimes word for word, with Viet asking questions and leading the discussion. He explained what makes this poem work so well, drew our attention to each detail and turn. He made me love “The Colonel” even more than I had on my first read several years ago. I’m familiar with literary analysis (I studied comparative literature in college), yet I’d never taken a creative writing class before. I learned how relevant a group discussion can be to my own practice. Interpreting the text with so many different readers at once gave me insights into how others pick up on clues (or not) and how they respond to certain techniques. – Titles and opening lines are extremely important. They should set the tone and draw readers in by either implicating them in the story or making them curious. – How to decide what to tell and not to tell? Writing is carving the story out from a larger whole. It’s less about being thorough and more about selecting a few strong details. Readers, typically, don’t need to be taken by the hand; they can infer backstory and fill in the gaps. – The three act structure is present in almost every successful narrative work, short or long, even in the most literary novels. 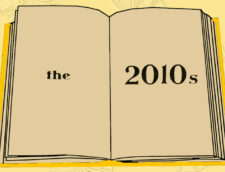 There’s no shame in reading a book on screenwriting to learn how to pace a literary story. Dramatic turns are needed at the right moments and should be present to keep readers engaged. – Use the passive tense sparingly and preferably only when it adds meaning, when it reveals something about the situation at hand. The author’s choice between indirect and direct speech can also subtly reveal something about the story. What character is in charge? Who is taking action? – Good images are both surprising (for example with contrast) and logical within their context. – How to recognize and avoid clichés in your own writing? Read. Read a lot, especially in the genre in which you’re writing. – Find an agent? Put in the hours and the work. Draft after draft. Write. Publish in literary magazines, even the obscure ones. Publish your pieces on your own blog (!). Then write some more. Thank you Viet and fellow participants for an inspiring afternoon, and thank you Grant, Audrey, Pauline, and (possibly) others for organizing this masterclass! * I first read “The Colonel” in the anthology Flash fiction : very short stories edited by Tom Hazuka. Before I attended the masterclass, I didn’t know it was originally published as a poem.